Please select. Yes! (+US$3.80) No. Thank! Stock up for making quick meal with noodles or rice. Very easy to find the shop for self collection!!! Very tasty, will consider to purchase again next time. Item received in good condition. Thanks both services. Yet to try. Bought for my son, he loves it, thank you! Item collected with ease. The Black Pepper Smoked Duck is tender & nice to eat. Cheap and good. Quite spicy. Fast pick up and friendly service from staff. Size is slightly bigger than other store. Hi would like to check, if I order the smoked duck, is it cooked? Can I order cooked ones? The smoked duck is cooked. You only need to heat up by using microwave, bake or steam. Hi, thank you for the prompt reply. Next Mon 24/12, Xmas Eve, does ur shop open? If I order now, can I do store collect?? We did open today. Closed on public holiday and Sunday. Tried the smoked duck, everyone said was very nice! Please advise exact location for self pickup. I am considering upp by timah, bt batok or Clementi. How to identify your van? Thanks. Thank you for your enuqiry. Store pickup only at: 40, Lorong 1 Realty Park, People Garden's, Singapore 536958; Operation hour: Mon-Sat 9am-4pm, Closed on Sunday and Public holiday. Kindly contact our hotline 8606 1002 for any further enquiries. Hi, I ordered 3 items in the same order list, including black pepper smoked duck, chiken katsudon and 12pcs lobster tail. Can I find out if delivery will be provided for all items? Because I noticed that 2 if the items shows self collect. Why is that so? Your two orders (chicken katsudon & black pepper smoked duck) are found in Qoo store pick up system, not in the delivery system. 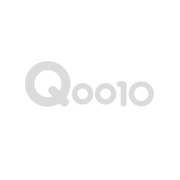 Kindly choose Seller Delivery button from the first beginning via webpage or mobile purchase, otherwise the Qoo default system will automatically put it into store pick up order. We will arrange all your items delivered together to the address that you had fill in before inside 'shipping address' and the shcedule for your delivery is on coming saturday between 1-6pm. Kindly arrange someone at home for receiving. Hi, I would like to opt for delivery to 184 Jelebu Road, which is in Bt Panjang, right at the start ofUpper Bukit Timah Road. Do I choose Holland/Bukit Timah/Newton area? In terms of GRC, itcomes under Holland GRC. For ur area is scheduled on Thursday under West: Woodlands Bkt Batok/Panjang, CCK, upp Bkt Timah . Our cut off time for next day delivery is 4pm. Is the duck certified halal? Hi, may i know country of manufacture? Thanks. may I know the expiry date for this item?